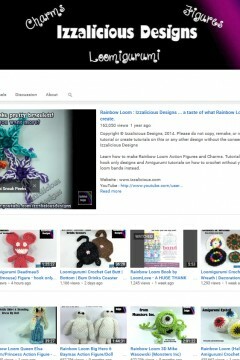 LoomLove.com is excited to announce that we are having a contest!! 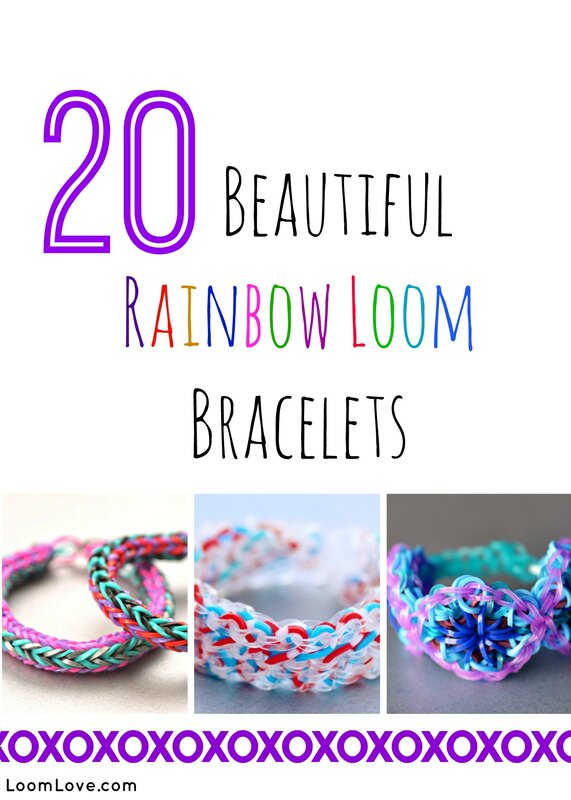 Your challenge is to come up with a wacky Rainbow Loom bracelet. The weirder and wackier the better! Let your imagination fly! We are looking for bracelets, not charms, not rings, not key rings or action figures. 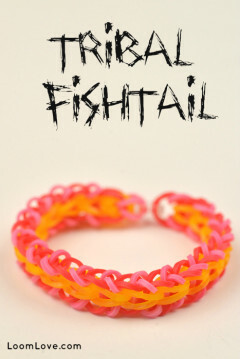 Remember, we want WACKY bracelets!!! 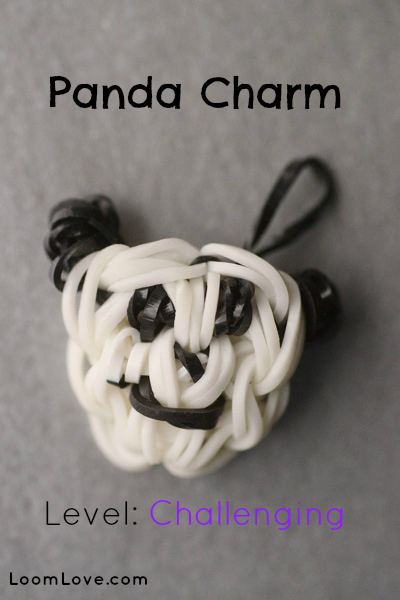 Add dry macaroni, dental floss (preferably unused), cut the rubber bands, tie yarn to the bands, cover them in paint, glitter, sequins, stickers … do whatever you want, but be creative!!! 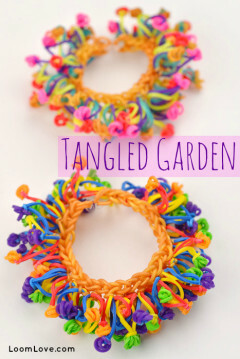 Use an existing bracelet and modify it to make it wacky- or create your own. The winner will receive an awesome loom band storage case filled with approximately 4,000 loom bands – many of which are rare. 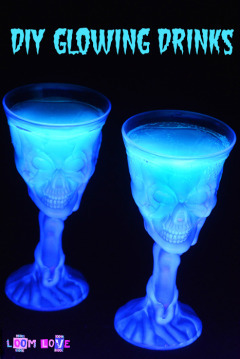 It includes tie dye, metallic, neon, glow in the dark, jelly and clear bands. To enter, subscribe to our Youtube Channel and Like us on Facebook. Then email us a photo of your wacky bracelet to info(at)loomlove.com or upload a photo of your creation to our Facebook page with the hashtag #loomlovewacky. 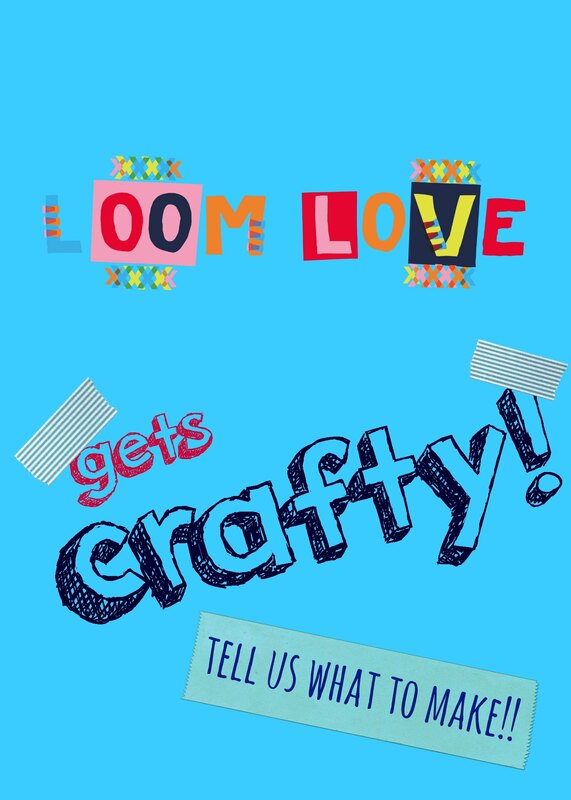 You can also enter via Instagram with the hashtag #loomlovewacky. Deadline for entry is 11:59 pm Eastern, Feb. 1, 2014. We will post our top 20 faves on our Facebook page on Feb. 2. 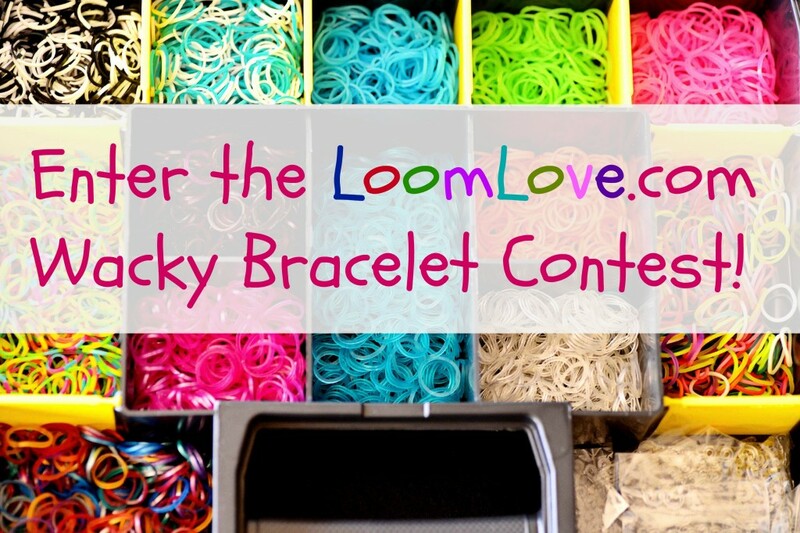 LoomLove Facebook fans will have until 11:59pm Eastern, Feb. 7, 2014 to vote for the winner. The bracelet with the most Facebook votes wins. Contest winner will be announced Sunday February 9, 2014. Contest is open to residents of the US and Canada. 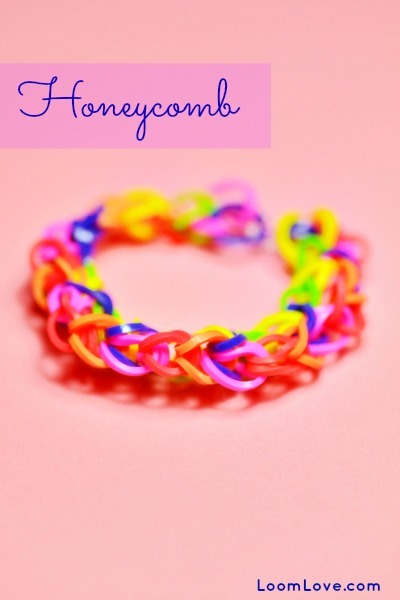 If you are new to Rainbow Loom, why not try the Honeycomb Bracelet. The Honeycomb is an easy bracelet – and the result is sweet! 600 High Quality Colorful Silicone Infinity Bands with 25 c-clips. Vibrant 10 Color Mix in each Pack. Be Even More Creative with this New Design! Bands retain their Form. 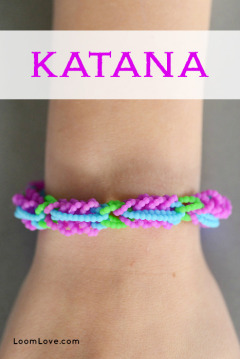 More Durable Bands equal Longer Lasting Bracelets! 3,600 pcs Metallic colors Rubber Bands, for making Jewelry on the Rainbow Loom. Assorted colors, includes 144 S Clips. Makes up to 144 bracelets or necklaces. 100% Latex and Lead Free, Works With All Major Brand Looms & Accessories. 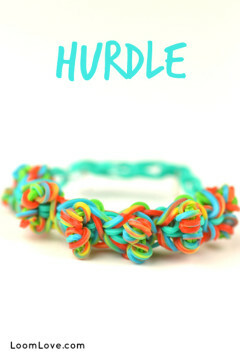 Works With All Major Brand Looms & Accessories, Rubber band colors may vary from picture. 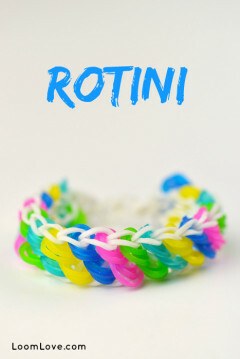 We are loving our metallic loom bands! 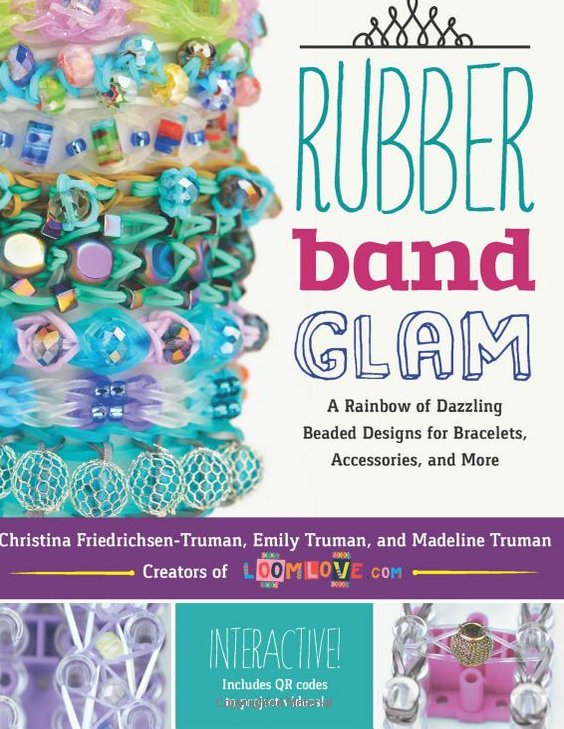 We bought our bands at Michael’s (they are official Rainbow Loom brand), but you can also buy metallic bands here. 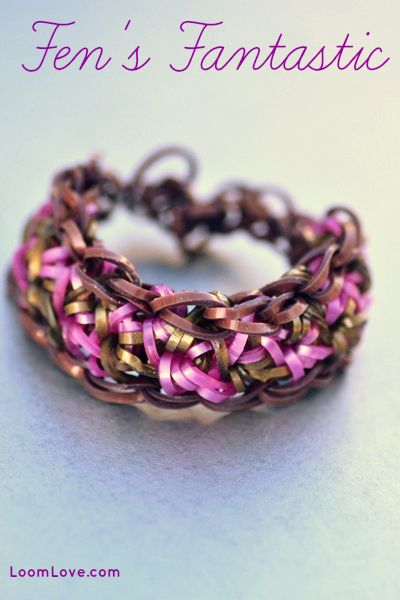 We used brown metallic bands and pink for Fen’s Fantastic bracelet. 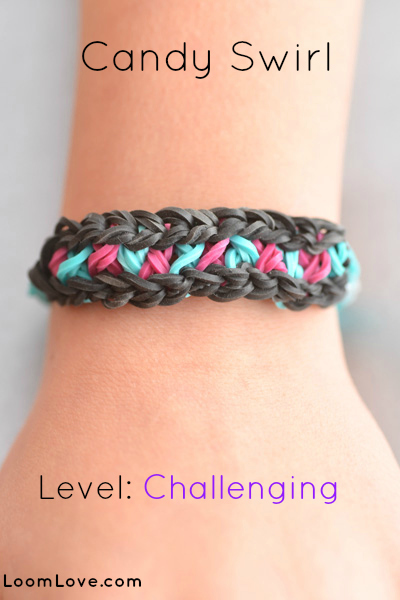 If you are a newbie, you will find this bracelet challenging, but totally doable! 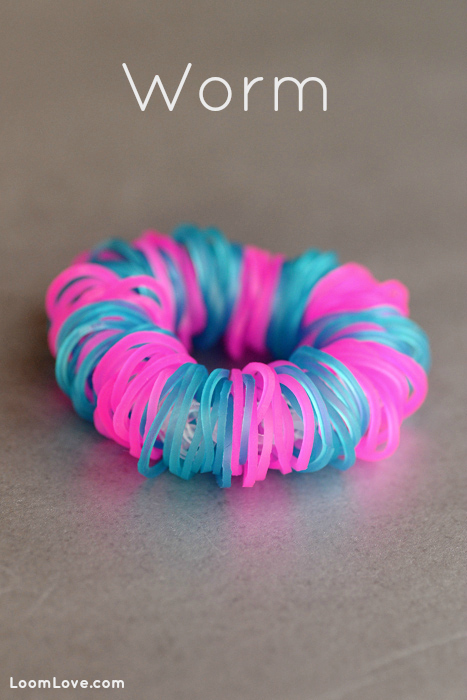 The Worm bracelet is easy to make, but it takes heaps of bands. We estimate there are around 150 bands in this bracelet!! 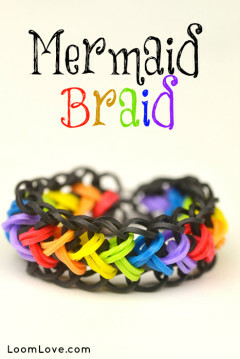 The good thing is that if you get tired of your bracelet, you can easily take it apart and re-use the bands. 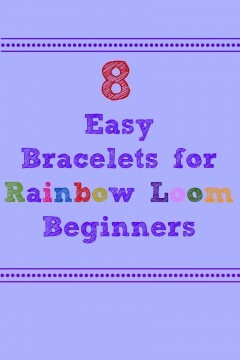 We made the Candy Swirl on one loom, but ideally you would use two looms. 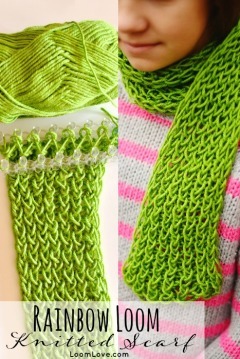 It is a tight bracelet; when it is made on one loom it only covers half of your wrist.